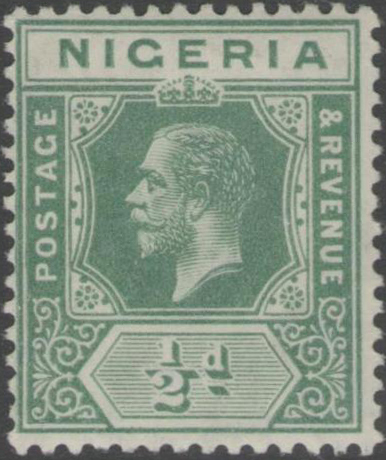 Sets of these stamps are shown on a separate page. † Date of issue, where not that of the #1. § Gibbons lists many more shades and variants that Scott . They are not all shown on the table. The matching of Sc/SG8 and Sc/SG11 variants is approximate. The Nigerias are preceded by Lagos, Niger Coast and Oil Rivers Protectorates and Niger Company Territories. 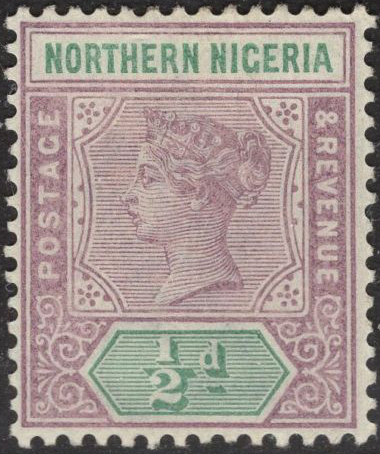 On 1st January 1900 the territory administered by the Niger Company was split to form the protectorate of Northern Nigeria and the Colony and protectorate of Southern Nigeria, the latter also incorporating part of the Niger Territories. They were united on 1st January 1914 to form Nigeria, also including British Cameroons. 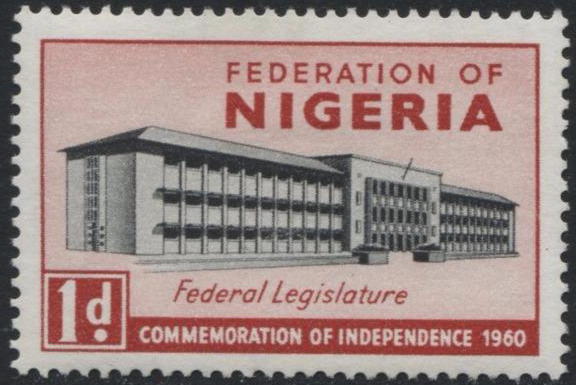 The Federation of Nigeria was formed in 1960. It became a republic in 1963. 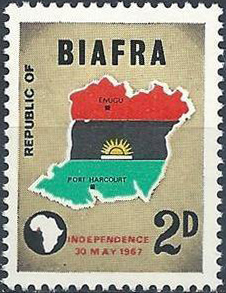 Mackay  writes, "In 1967 the eastern region seceded from the federation under the name of Biafra and distictive stamps were issued in 1968-9 before the area was overrun by federal forces. 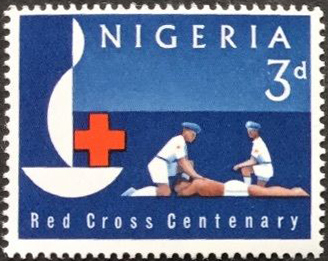 The stamps celebrating the first anniversary of independence depicted atrocities allegedly commited by the Nigerian army". 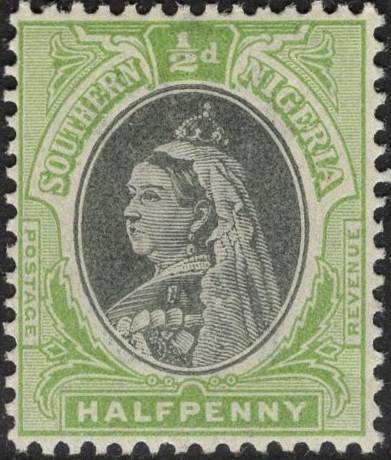 Scott does not list Biafran stamps (2008 catalogue). Sources: ScS , SGP1 , JM4 .